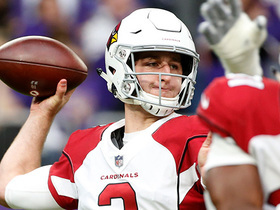 Analysis: The 28-year-old has plenty of experience as a five-year starter with the Bengals, but Iloka started just three games with the Vikings in 2018. Archer added Iloka can play both safety positions, and the Cowboys plan to have him replace Jeff Heath as the starting strong safety while keeping Xavier Woods as the free safety. Analysis: Iloka had started the previous two games at strong safety with Andrew Sendejo out with a groin injury. Anthony Harris got the start with Sendejo still out, as it appears Iloka lost the starting role due to performance and not injury. Analysis: Iloka played 43 of the defense's 58 snaps while filling in for Andrew Sendejo (groin). It's not clear when Sendejo may return, so Iloka could retain some short-term IDP value. Analysis: Iloka, who signed with the Vikings on Aug. 22, was limited exclusively to a special-teams role until Week 4. Despite his lack of in-game defensive reps this season, he boasts plenty of familiarity with coach Mike Zimmer's scheme from their time in Cincinnati together. The starting assignment could set Iloka up for a decent tackle count Sunday, as Sendejo had averaged 5.4 stops per game through the first five weeks of the season. 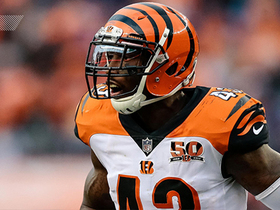 Analysis: Iloka's release from the Bengals on Sunday surprised many around the league, but financial restrictions ultimately forced Cincinnati's' hand. Projecting how Iloka will fit in with the Vikings is somewhat difficult, as the team seems comfortable with Harrison Smith and Andrew Sendejo (calf) at the safety spots. At the very least, Iloka provides added depth on the back end of the defense and figures to find a way onto the field in some capacity. Analysis: Per the report, the move to let go of the 28-year-old safety is a financial decision. Iloka had 80 tackles and a pick last season, and he should catch on with another team in short order. Rookier second-round pick Jessie Bates should have a shot at a Week 1 starting job in Cincinnati. Iloka (shoulder) is listed as active for Sunday's game against the Lions. Analysis: Iloka hurt his shoulder last week in Minnesota. However, he didn't miss a day of practice this week and should be ready to assume his usual heavy workload. Iloka (shoulder) is listed as questionable for Sunday's game against the Lions. Analysis: Iloka injured his shoulder during the Bengals' Week 15 loss to the Vikings, but returned to practice this week in a limited capacity. If he's unable to play Sunday, Josh Shaw would likely draw the start at free safety. Iloka (shoulder) won't return to Sunday's game against the Vikings. 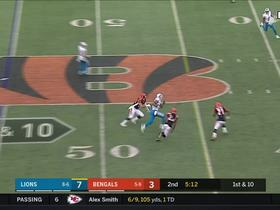 Analysis: Without Iloka, the Bengals will turn to Clayton Fejedelem and Josh Shaw to man the leftover snaps at safety. Iloka injured his shoulder during Sunday's game against the Vikings and is doubtful to return, Richard Skinner of WKRC-TV reports. Analysis: Iloka's absence will add to injury issues in the Bengals' secondary. He has 68 tackles (45 solo) and one interception through 13 games. Josh Shaw and Clayton Fejedelem likely will see increases in defensive snaps in Iloka's absence. Iloka's one-game suspension was overturned Wednesday in an appeal, making the safety eligible to play Sunday against the Bears. Analysis: Iloka was handed the ban from the NFL after driving his head into the helmet of Steelers wideout Antonio Brown while attempting to break up a touchdown reception in the Bengals' 23-20 loss Monday. Though he'll be on the field in Week 14, Iloka was still levied a $36,464.50 fine for the illegal hit. Iloka was suspended for one game following his hit on Antonio Brown in Monday night's loss to the Steelers, Ian Rapoport of NFL Network reports. 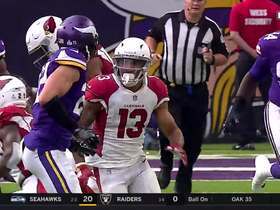 Analysis: Iloka hit Brown with a helmet-to-helmet collision as the superstar wideout caught the game-tying touchdown pass in Monday night's contest. With fellow safety Shawn Williams still dealing with a hamstring injury, the Bengals could be fairly light on depth in the secondary for Sunday's matchup with the Bears. Iloka, however, does plan to appeal his suspension. 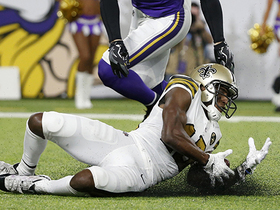 New Orleans Saints wide receiver Michael Thomas catches for a 44-yard gain. NFL Network's Tom Pelissero brings the latest information on the Vikings signing of safety George Iloka. 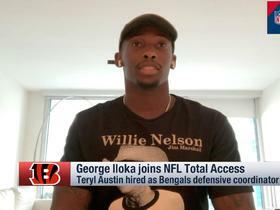 Cincinnati Bengals safety George Iloka joins "NFL Total Access" to talk about his outlook for the 2018 season. Detroit Lions QB Matt Stafford hits wide receiver Kenny Golladay for the first down. 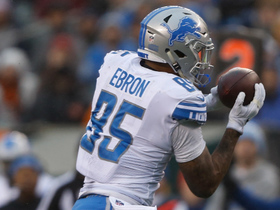 Detroit Lions QB Matthew Stafford puts the ball in the perfect pocket for tight end Eric Ebron who hauls in for a huge 29-yard gain. 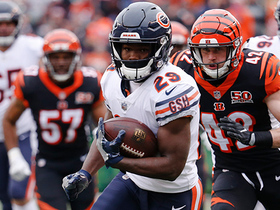 Chicago Bears running back Tarik Cohen speeds by defenders and picks up 19 yards. 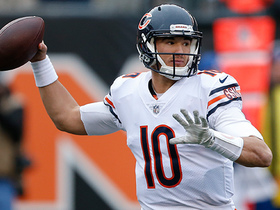 Chicago Bears quarterback Mitchell Trubisky throws on the run to wide receiver Josh Bellamy for a gain of 36 yards. 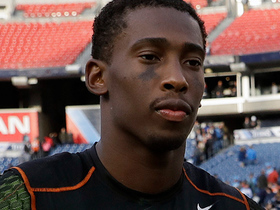 NFL Network Inside Ian Rapoport reports on the one-game suspension of Cincinnati Bengals safety George Iloka being overturned.